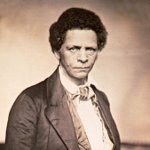 Joseph Jenkins Roberts' Birthday is a Liberian public holiday that honors the first and seventh President of Liberia. It is celebrated on March 15. Roberts was born on March 15, 1809, in Norfolk, Virginia. In 1828, he emigrated to Liberia, under the auspice of the American Colonization Society. At that time, Roberts was already married and had an infant child. He took his family with him, but they died in the first year in Liberia. In 1833, the American Colonization Society appointed Roberts high sheriff of the colony. Six years later, he became vice governor. Following the death of governor Tomas Buchanan in 1841, Roberts was appointed as governor. In July 1847, Liberia became an independent state. Presidential election took place in October 1847. Roberts won the election and sworn into office in January 1848. He was re-elected three times and served as a president a total of 8 years. Having lost the 1855 election, Roberts served as a major general in the Liberian army and as a diplomat. After the deposition of President Edward James Roye, Roberts once again won the election and returned to office. He served for two consecutive terms from 1872 to 1876. As Roberts made a significant contribution to the country’s development, his birthday anniversary was declared a public holiday.